Buddy Ebsen was born Christian Rudolph Ebsen, Jr. on April 2, 1908 in Bellevillle, Ill. - a small town located near St. Louis, Mo. - as the only son (four sisters) to parents of Danish-German and Latvian extraction. In 1920 the family moved to Florida; there Buddy's father had a dancing school. Initially Buddy studied to become a medic, but left for New York in 1928 to try his luck as a dancer. He started as a chorus boy in Ziegfeld's "Whoopee" starring Eddie Cantor and was later joined by his sister Vilma. They went on vaudeville tours and successfully participated in the musical revue "Flying Colors". 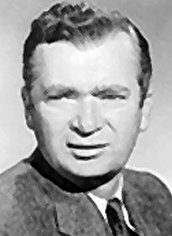 Buddy Ebsen wanted to become an actor. He married Ruth Cambridge; daughters Elizabeth and Alix spring from that marriage. In 1935 Buddy and Vilma went to Hollywood for their movie debut "Broadway Melody of 1936" (MGM). Buddy appeared in several movies with actresses such as Eleanor Powell, Shirley Temple and Judy Garland. He was to play the role of the Tin Woodman in "The Wizard of Oz", but when inhalating the aluminum dust make-up he became seriously ill and was replaced by Jack Haley. When Ebsen was offered a long-term contract by movie mogul Louis B. Mayer, he turned it down as he didn't want to sell his soul - something unthinkable at that time - and left MGM. After more vaudeville and a few movies for RKO Buddy Ebsen played on stage in the farce "Goodnight Ladies". In 1943 he signed up in the US Coast Guard. After his divorce he married Nancy Wolcott in 1945. He played Frank in the Broadway revival of "Show Boat". He got in touch with a new medium 'television'. In the early fifties he played Rex Allen's comic relief sidekick in five B western movies for Republic Pictures. He had great success as Davy Crockett's pal Georgie in the Walt Disney TV movies in 1955-56. 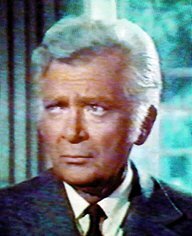 Then Ebsen had a role as a regular in the TV series "Northwest Passage". He played supporting roles in several movies and had a lot of guest spots in TV series. In the meantime his family had increased: four daughters and one son from his second marriage. Color of hair: originally brown, now silvery white. Color of eyes: powder blue. Height: 6 ft. 3 ½ ". 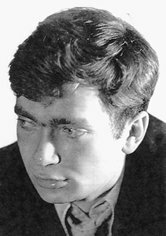 Interests: Sailing (won several trophies in races, had a boat constructing company), American history, literature, collecting coins, painting.